It's getting colder around here! I've spent the whole day in a sweater and wool socks and I'm still freezing! With the colder weather, the garden gets a little sadder looking. 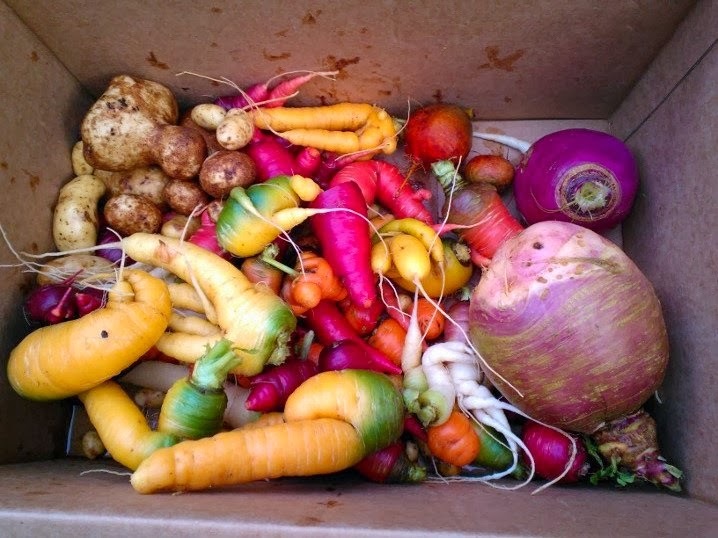 I decided to go see what I could find still growing and pull my root veggies at the same time. 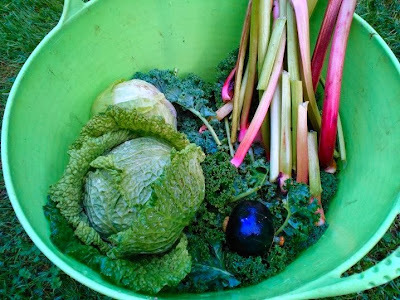 I didn't think I'd find much, but the ever-producing garden surprised me once again with it's secret stash of produce. In this box: red and green tomatoes, purple and green beans, white and purple onions, 2 tiny zucchini, cucumbers and a few broccoli florets. I also picked a bunch of sage after taking this picture. I've got that drying in the dehydrator. 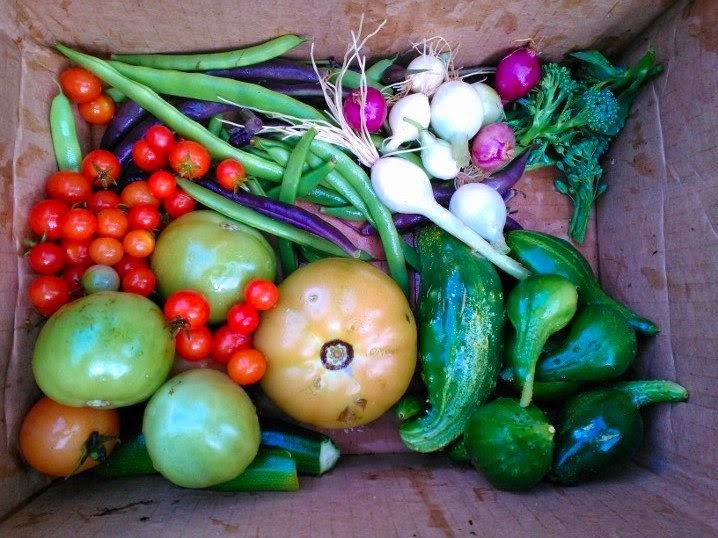 What an amazing harvest! Hopefully all that beautiful veg will make up for the cold weather!